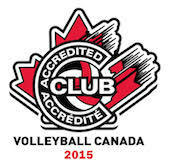 At the 15U Boys age group the Wildcards are ranked 11th and the Renegades are ranked 12th out of 35 teams in Ontario. They also are shooting to be in the mix of Division 1 Tier1 on the last day of competition. Perhaps the most impressive rankings are at the 16U Girls level were all three Maverick teams are in Division 1 Tier 1. The Outlaws are ranked 4th, Trailblazers are ranked 11th and the Derringers are ranked 32nd. There are 77 teams competing in the OCs at this age group. The first weekend of OCs will be the busiest weekend of the three given the number of teams competing. Please add 20 extra minutes to your planned commutes to accommodate for parking at RIM Park especially on the last day of competition.